BALTIMORE, Md. (CN) – Just before 9 a.m. on Aug. 9, 2016, Phillip Heasley caught a very large fish. The 76-pound white marlin he pulled in off the coast of Maryland’s eastern shore was so large, in fact, that it was worth $2.8 million as the top prize in that year’s White Marlin Open Tournament. But a federal judge’s decision on Wednesday means Heasley will not see a dime of the tournament’s top prize, as he was unable to pass the polygraph test that the White Marlin Open Tournament requires all of its winners to take. Bennett noted that even if he had credited Heasley’s issues with polygraph tests, the fisherman still would be out of luck, as the court record shows he likely dipped his line into the ocean before 8:30 a.m., breaking another of the tournament’s rules. 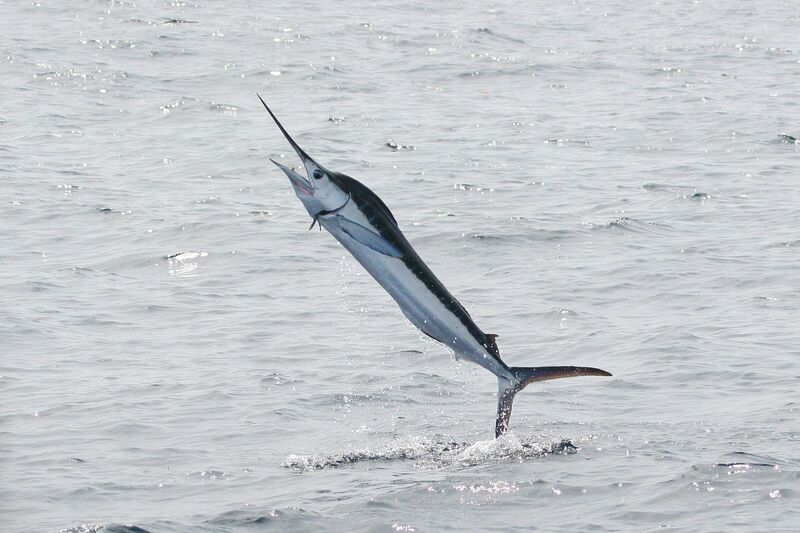 Founded in 1974, the White Marlin Open is one of the largest billfish fishing tournaments in the world and takes place every year in Ocean City, Maryland. Heasley arrived in Ocean City on Aug. 7, 2016, to compete in the tournament aboard his 68-foot fishing boat, the Kallianassa. Bennett’s opinion says Heasley’s boat slowed down to trolling speed around 8 a.m. on Aug. 9, the second day of the tournament. It was following a school of skipjack tuna near the Baltimore Canyon, a deep undersea trench 70 miles off the coast of Maryland, hoping to find marlin feeding. Sometime after that, according to the ruling, one of Heasley’s crewmates hooked the winning fish and handed the rod to Heasley, who then fought the fish until he was able to get it on the boat at 8:58 a.m.
Over the intervening weeks, Heasley and his crew each failed two polygraphs that included questions about when they put their lines in the water and how long it took to bring the marlin aboard. This disqualified them from the prize money under the tournament’s rules, and the White Marlin Open filed a state court interpleader action on Aug. 26. Heasley, who hailed from Florida, removed the case to federal court, and Bennett presided over a two-week trial this spring that touched on the reliability of polygraph evidence and the tangled timeline of events. He said, even if Heasley had passed a polygraph, it would not have mattered because the fisherman broke a tournament rule by putting his line in the water before 8:30 a.m. Though Heasley and his crewmates gave a number of different answers to interviewers about how long it took him to reel in the fish, Bennett cobbled together a swirl of conflicting statements and GPS data to form a timeline of events. By Bennett’s analysis, it took between 10 and 15 minutes for the crew to lay out all of its fishing lines, 15 to 20 minutes to hook the marlin, and 10 to 15 minutes for Heasley to fight and reel it in. It was undisputed in the case that Heasley brought the fish onboard at 8:58 a.m., meaning that even in the most favorable timeline, the crew put their lines in the water at 8:23 that morning, Bennett found. Heasley’s attorney Chris Sullivan disputes that his client broke tournament rules. Set to kick off its 44th annual competition on Aug. 7, the White Marlin Open meanwhile defends its use of polygraph tests to ensure fairness in the competition. “The White Marlin Open is pleased its reputation for integrity, built over its forty-three-year history, has been upheld,” a blog post on the tournament website states.